Arizona is a 2020 Mom priority state for advocacy support. 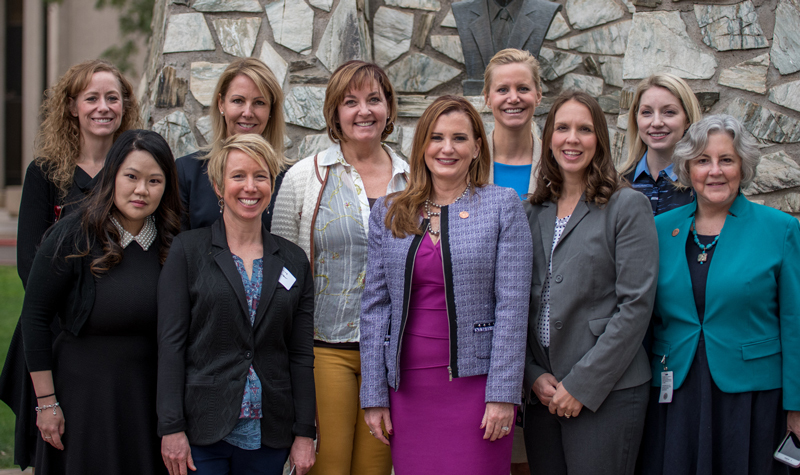 2020 Mom is proud to partner with the Arizona Section of the American College of Obstetricians and Gynecologists (AZ-ACOG) and champion representative Heather Carter to proclaim May 2, 2018 Maternal Mental Health Day in Arizona. Representative Carter and the Arizona Department of Health Services held a press conference on Maternal Mental Health on Monday, February 12th, 2018 in the Rose Garden behind the House of Representatives in Phoenix at the state capitol. The proclamation was read aloud before the members went to the floor that day. The proclamation has been unanimously signed by House members.